2012/Dec/Nov Xtra Factor ! LIVE ! The X-factor aftershow talk with Sara ! You need a swedish IP to watch Xtra Factor on TV4 play ! 2012/Nov/16 Xtra Factor ! LIVE ! 7th aftershow talk with Sara ! Sara demonstrates and talks about poledance ! teaching poledance in different levels of difficulty. 2012/Nov/09 Xtra Factor ! LIVE ! 6th aftershow talk with Sara ! and blog: Xtra factor - backstage ! 2012/Nov/02 Xtra Factor ! LIVE ! 5th aftershow talk with Sara ! 2012/Oct/28 Sunday Interview with Sara !! 2012/Oct/26 Xtra Factor ! LIVE ! 4th aftershow talk with Sara ! Sara turns 28 today ! and luck whenever you need it ! Stockholm´s new training & fitness studio is now open ! 2012/Oct/19 Xtra Factor ! LIVE ! 3rd aftershow talk with Sara ! 2012/Oct/12 Xtra Factor ! LIVE ! 2nd aftershow talk with Sara ! 2012/Oct/05 Xtra Factor ! LIVE ! 1st aftershow talk with Sara ! careers which had to do with the legendary band. Aftershow talk with Sara !! Because Marie is actually jury member of "X factor"
at least when the jury will visit Sara´s talkshow. and just posted on her blog. More infos will follow soon ! Will Sara & Linus win the competition ?? Sara & Linus are in the final ! 4 teams left - 3 will reach the final !! Two new songs for Sara !! the earlier A*TEENS song "Slam" ??? these songs will be released - but we hope soon ! listed in RedOne´s discography on wikipedia. for Dhani Lennevald - so check this out too ! everyone is up and to talk about old memories. 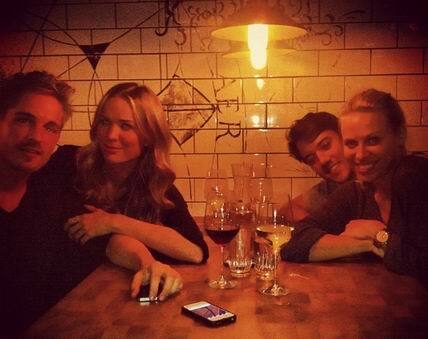 How nice to see you all together again ! the new studio rooms before the opening in October. take a look on Sara´s photos, posted on her blog. inclusive a funny poledance lesson with Sara ! Superstars Celeb was recorded in May on Fuerteventura/Spain. posts April/16+25, May/07 and above on the days of broadcast. which she´ll open with her partner Ida in October. Visit FLOW sthlm and check this nice photo ! Sports Competition Show with Sara ! 2012/July/21 SARA LIVE on stage !! official Regatta Party of the RC 44 Cup in Marstrand. visit the official website and Sara´s blog. at the courtesy desk of the sailing cup above. WEB TV - LIVE - and more ! in the night- and eventclub "Café Opera" in Stockholm. 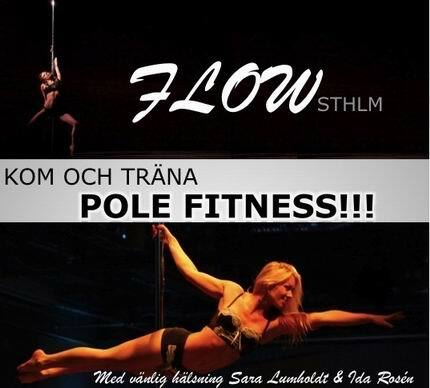 2012/June/28 Sara in the new "VeckoRevyn"
2012/June/26 " FLOW STHLM "
are invited to try out at the pole by themselves ! 2012/June/21 " FLOW STHLM "
and their new fitness center they open in October. 2012/June/14 2 new videos ! 2012/May/07 " FLOW STHLM "
Sara and Ida open own fitness center ! of the Martial Arts Club "SMAC" during this summer. Start of the TV recordings to "Superstars Celeb"
2012/April/26 Sara will compete in "Superstars Celeb"
THE TV sports competition event Aug/Sept on TV3/Sweden ! top fit and in a really good shape. That means a daily training !! P3: Metropol 93,8 We love Stockholm ! with the A*TEENS and then come back as solo artist. "On tour with N´Sync vs Melodifestivalen"
2012/March/18 " Bloppis " - blog flea market ! 2012/March/16 New hairstyle & look !! and pole dancing queen - is this just the beginning ? 2012/Feb/10 Welcome back Sara ! !